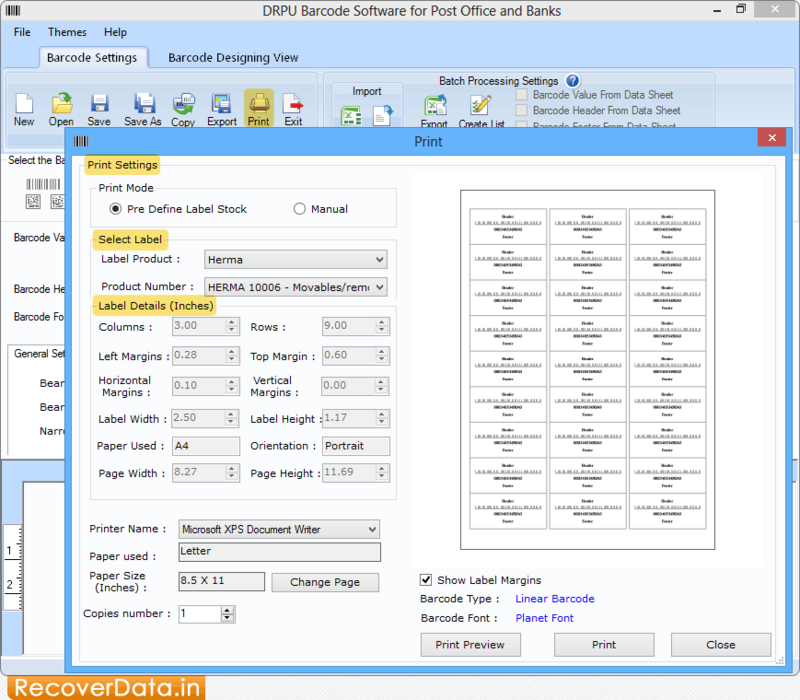 Barcode Label Maker Software for Post Office generates postal barcode labels, stickers as well as bank barcodes in linear and 2D barcode font standard. Barcode Maker program is fully capable to generate multiple number of barcode images for bank sector and postal service using random, sequential and constant series generating features. Barcode software can design barcode images in rectangle, ellipse and rounded rectangle shape as per your need. Barcode Maker software creates postal labels and bank barcode stickers in various sizes. Allows you to design color barcode images using inbuilt color settings. Provides data Set Series feature to generate multiple copies of labels with different barcode and text value. Enables you to save generated postal barcode images in major graphics formats like JPEG, GIF, EXIF, etc. With advanced printing setting feature, users can print multiple barcode labels simultaneously. Generates barcode Labels with Texts, Lines, Pictures and other objects using advance Barcode Designing View.